The communication unit MEg202.5 in its basic configuration provides remote transmission of states or changes of binary inputs and commands by GSM / GPRS, UMTS / HSPA and LTE networks of mobile operators. 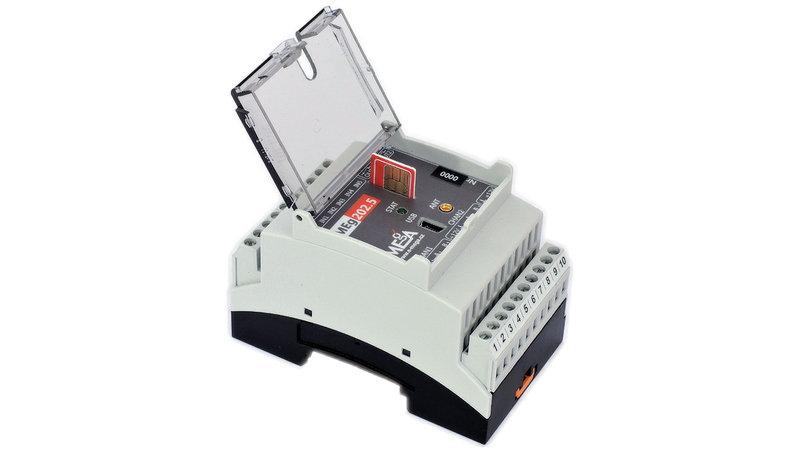 The measured values are transferred through the serial communication line RS485 from connected measuring devices. The MEg202.5 unit can be used also in the function of a communication converter GPRS / UMTS / HSPA / LTE on RS485 bus when the data sent through the mobile operator network are re-sent in transparent mode to the programmed RS485 channel and conversely, the data from RS485 are sent back.